to help you KEEP your natural teeth . Leading orthodontic systems & techniques are used in combination with specialist orthodontic expertise, and can definitely help you achieve that Perfect Smile and more importantly, that Harmonious Facial Profile. Our philosophy concentrates on prevention of dental disease in children & young adults, from the early beginning, using some of the latest developments in dental materials & equipment especially formulated for child dental care, including Fissure Sealants, Topical Fluoride Applications, and Nitrous Oxide (Relative Analgesia) , among others. Implantology: Being one of the most rapidly-advancing dental sciences in the past few years, we’ve stepped in this field using leading international implant systems such as ITI and SPI, backed by over 30 years of research & development. These sophisticated systems, in the capable hands of our team of Oral Surgeons & Prosthodontists, can do wonders for the well-selected patient. Restorative Dentistry: Restorative dentistry involves both the art & science of dentistry. In this department, the expertise of specialists, along with experienced dental technicians & a laboratory that uses the highest quality materials, dental ceramics & equipment, combine to achieve the best esthetic results ever! Endodontics (Root Canal Therapy): A well-known fact is that a high percentage of severely carious, painful teeth end up needing Root Canal Treatment, to provide relief to the patient, and save the teeth! An experienced Endodontist is essential in providing this highly essential & demanding service. Periodontics: Healthy Gums = Healthy Teeth + Beautiful Smile We provide special care for all aspects of disease related to teeth & gums, from simple, basic Oral Hygiene, to special periodontal surgery procedures to preserve teeth & periodontium (tooth-surrounding structures). 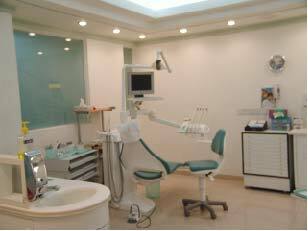 General Dentistry: Here, all general and routine dental work is provided on a daily basis. Dental Lab Facility Our center has its own fully-equipped dental & orthodontic lab facility and technician which is always ready for immediate fabrication and repair of appliances and other dental prostheses using high-grade internationally-certified materials, thus ensuring we save time and long-term cost for our patients. Digital Radiography The center is equipped with some of the latest technological advancements in the field of digital radiography including the Soredex / Cranex Tome™ X-ray unit, the first unit in the world to use Spiral Tomography instead of Linear Tomography, providing unparalleled diagnostic superiority to other similar units. 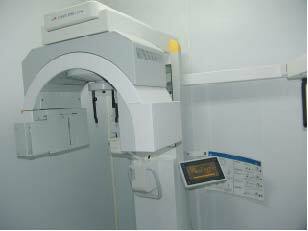 In addition, the Digora™ digital software system is fully integrated with the digital radiography unit throughout the center's clinics.